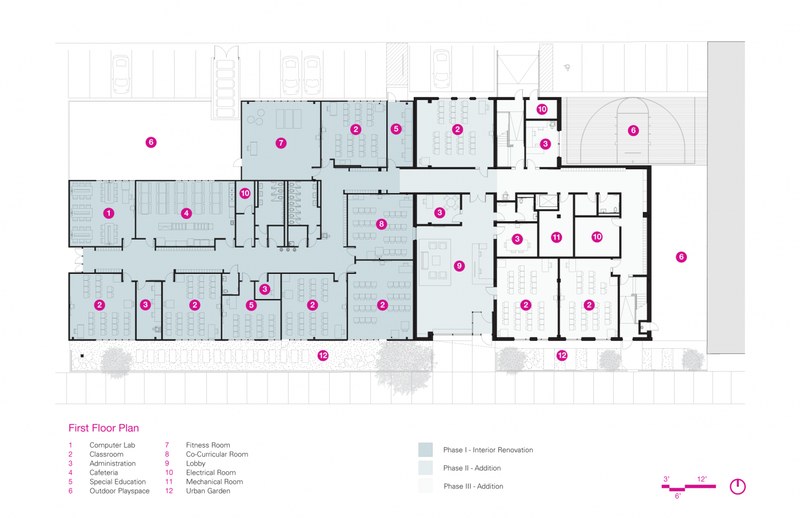 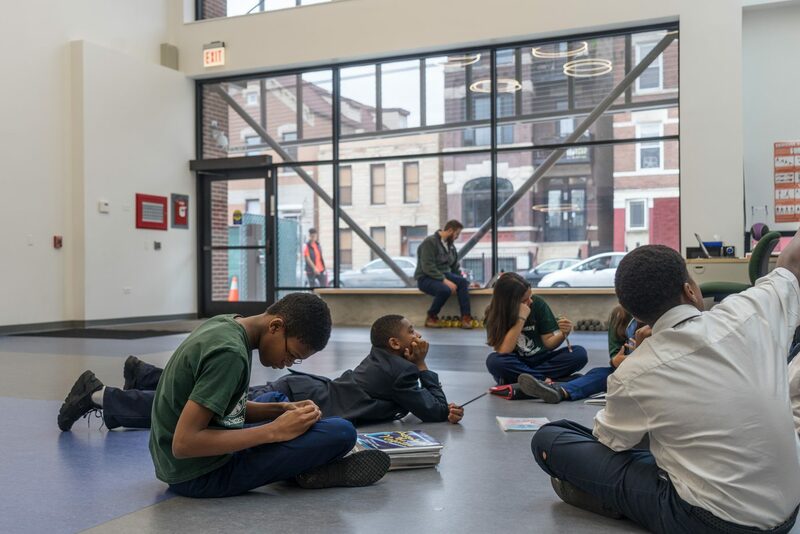 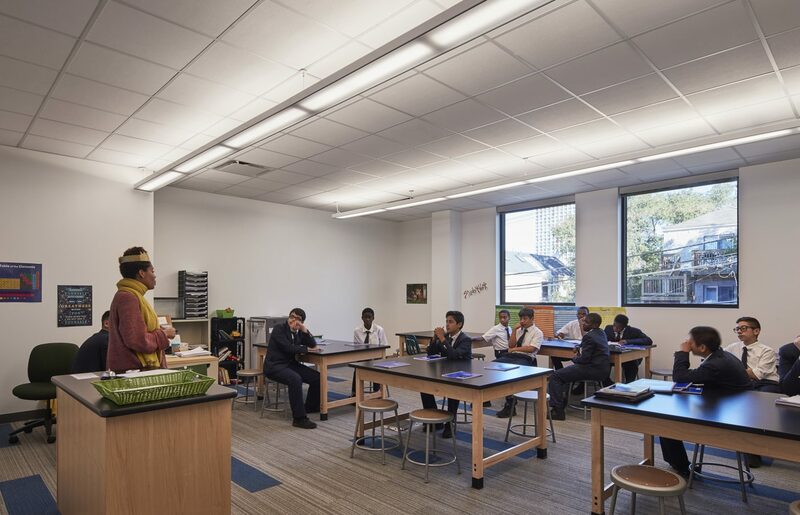 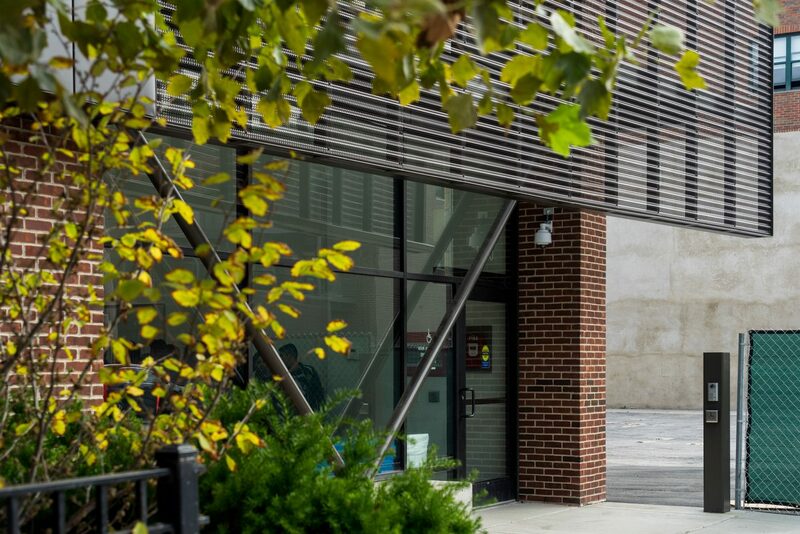 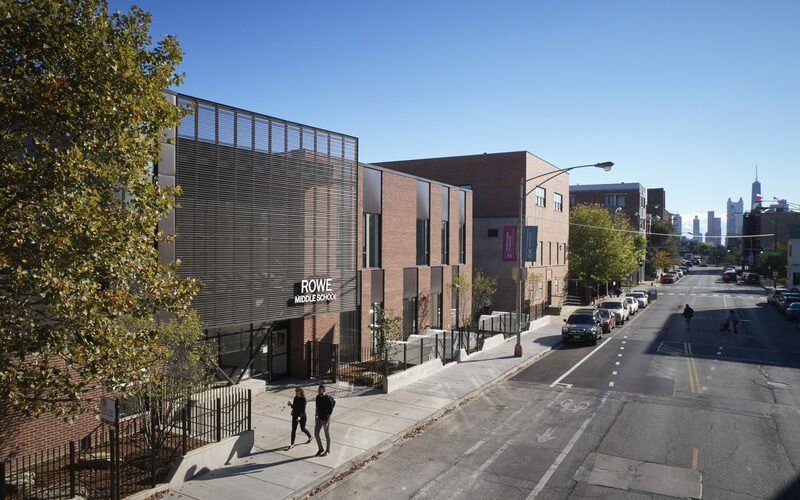 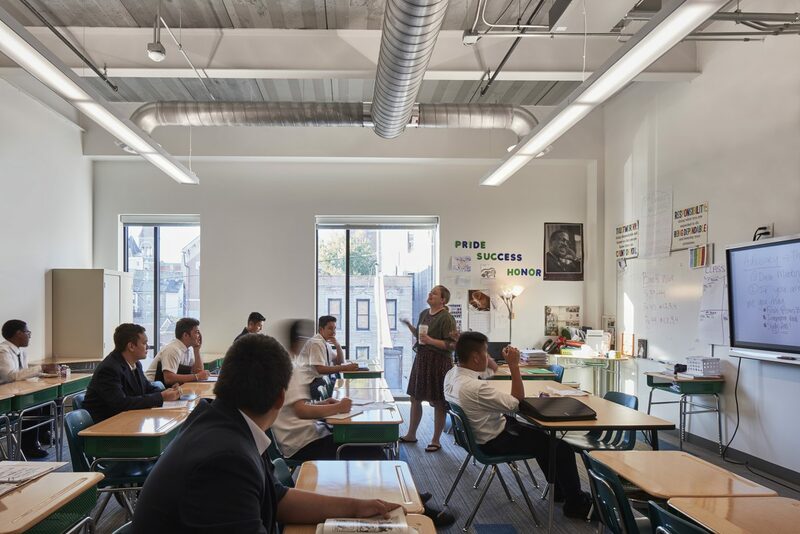 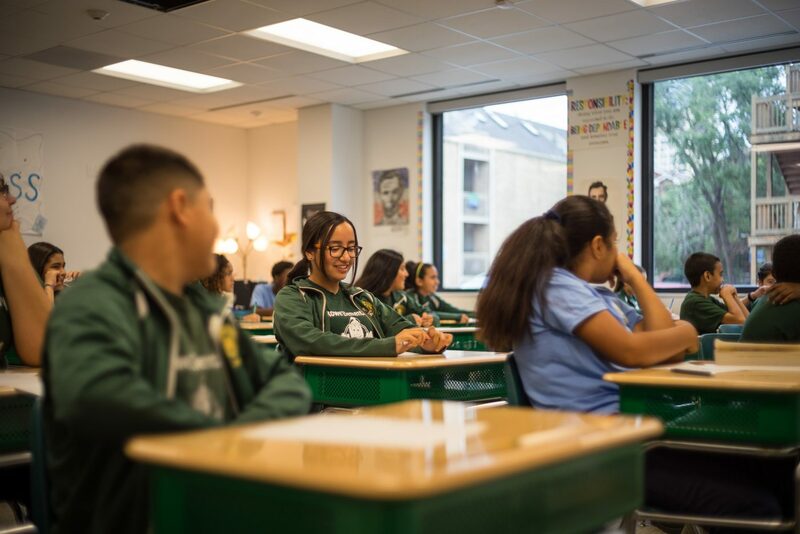 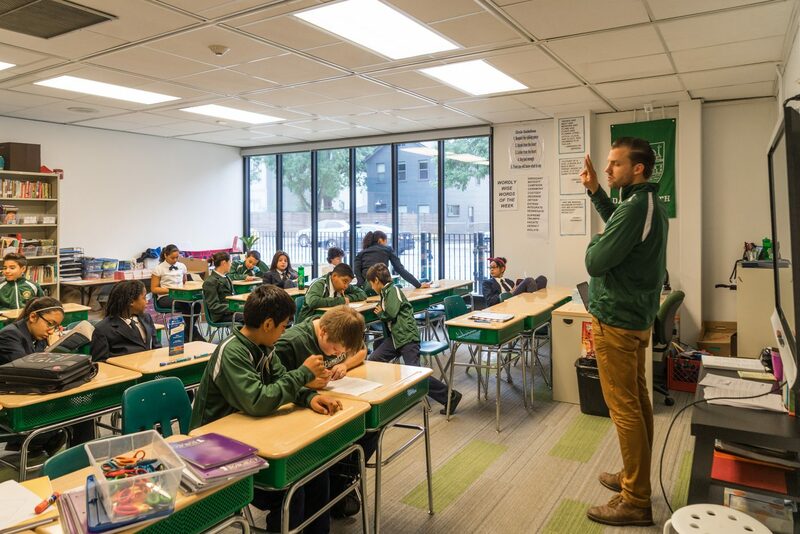 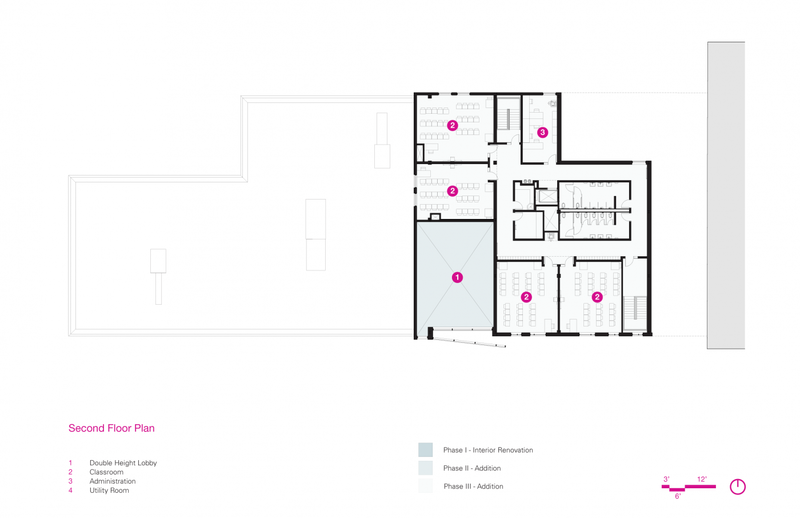 The project entails the renovation and addition to Rowe Elementary School, operated by the Northwestern University Settlement Association in Chicago’s Noble Square neighborhood. 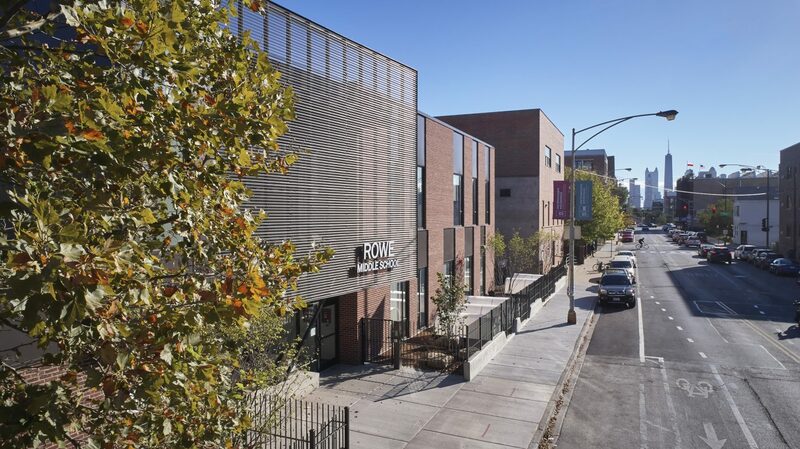 Constructed in three phases, a new addition houses Rowe Middle School and after school programs, as well as the expansion of Northwestern Settlement’s day care program and other services. 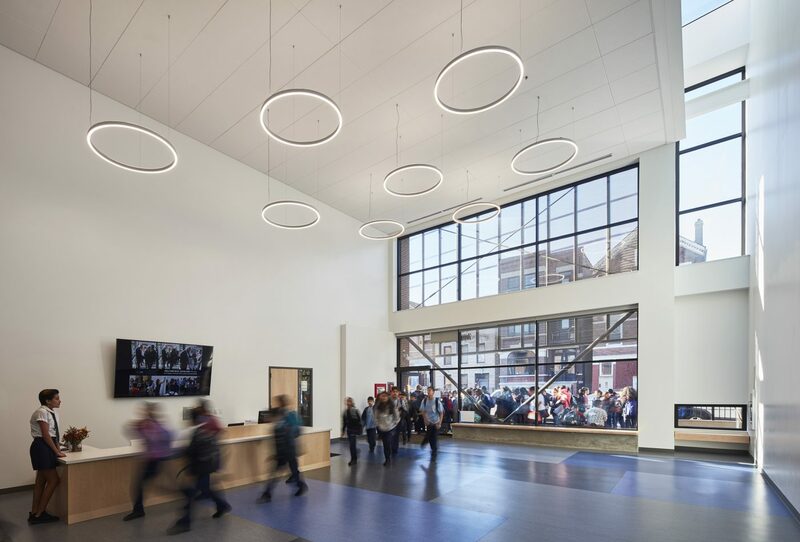 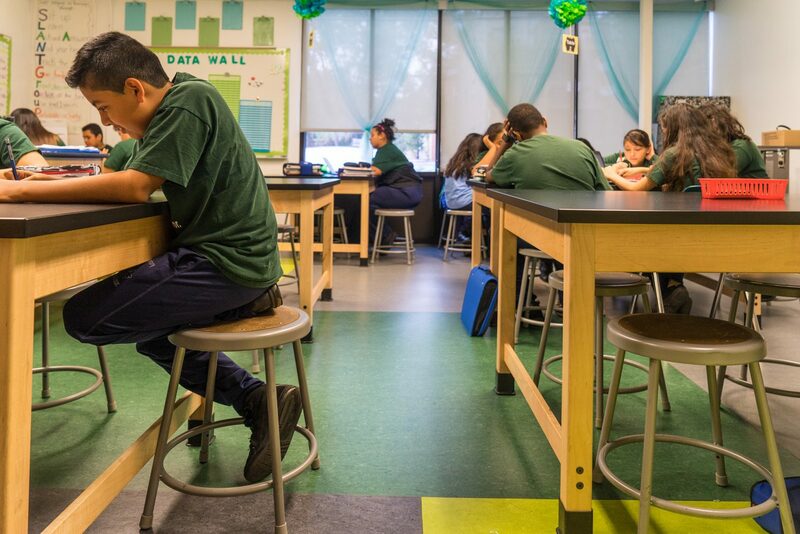 Each phase accommodated an increasing number of students arriving from a remote K-5 campus. 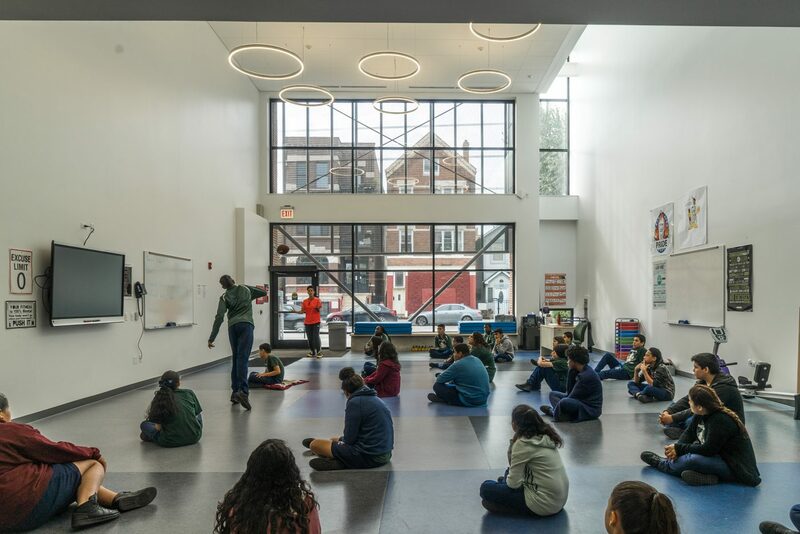 The school was constructed during three consecutive summers, with the last two phases getting a head start during the spring for foundations. 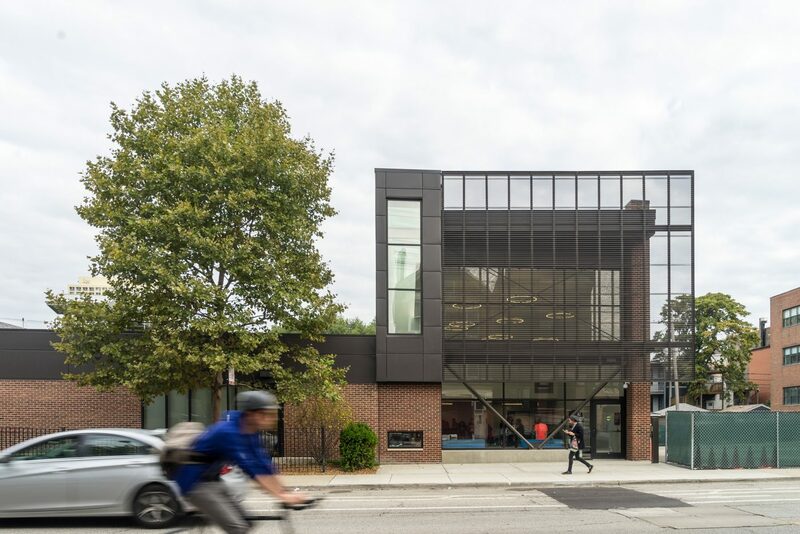 During the first summer, the interior of a 1972 “temporary” annex was renovated, originally built to alleviate overcrowding at a former school. 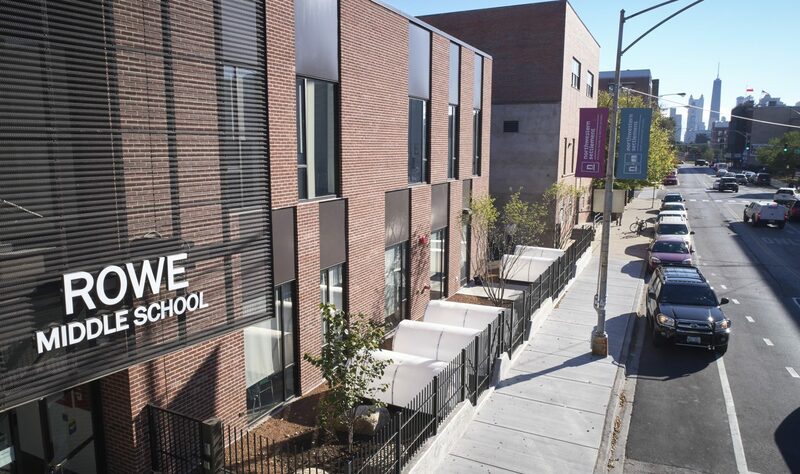 During the following summer, a two-story addition to the east was constructed, even though only the ground floor could be accessible during the following school year. 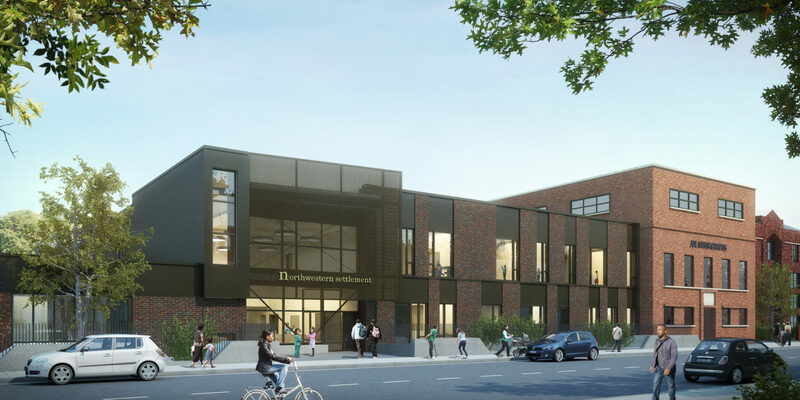 During this second phase, the contractor re-clad the exterior of the original structure to cohere with the brick facade of the contemporaneous and future addition. 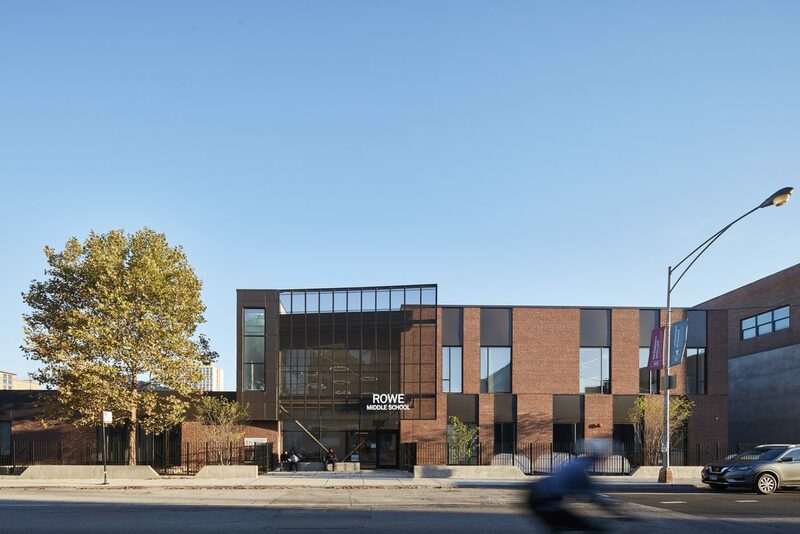 For the façade, an architectural language of horizontal bands were developed that allow the additions to expand upward and outward from the original single-story annex, never looking incomplete. 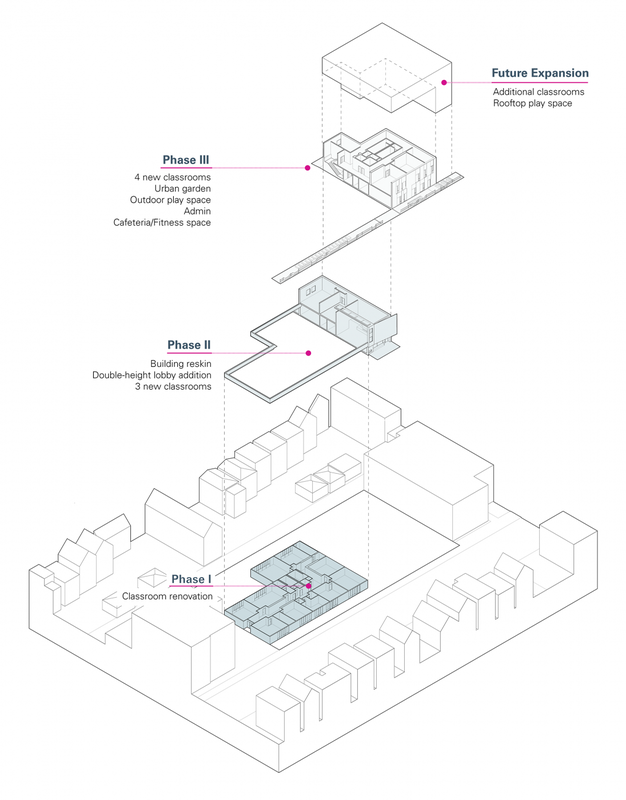 The future fourth phase will extend this language as well.